Yesterday the lovely Mirjam from Hallo September nominated me for the Liebster Award! I was really honoured that she chose me, along with 10 other bloggers, since I have only been blogging for 2 months. Thank you so much Mirjam! I really appreciate it. The Liebster award is given to smaller and upcoming bloggers in the blogosphere. It's also a great way of finding out about new blogs - when you win the Liebster Award, you answer a few questions, give the award to 11 other blogs (some say it's 5? I guess a lot of people make their own rules) and ask them 11 new questions. Definitely the evening. I'm not really properly awake in the morning, I'm more of a night owl. I love lazy evenings when I just read or check my favourite blogs - bliss! I also love going out for dinner... too much. My wallet ain't too happy about the last one. As a child, what did you want to become 'when I'm old' (and did you)? OK, this is a tough one. I'm addicted to magazines! I was truly in magazine heaven when I lived in Scotland during my bachelor studies - there's SO many cool British magazines. I even wrote my BA thesis on fashion blogs vs fashion magazines, so yeah, it's super hard for me to choose a favourite. I like Elle Decoration UK and Vogue Paris a lot (although I don't like Vogue Paris as much as I used to now that Emmanuelle Alt is the editor-in-chief). I also really like the Czech magazine Dolce Vita. No, not really (maybe only the humongous ones..). Actually, I always feel sorry for spiders when people kill them. Again, super tough! I'll always, always love Montreal - I lived there for 5 years with my family about 10 years ago and it'll always hold a special place in my heart. I love my dear Helsinki for similar reasons. But if I could just pick a city where I'd live for the rest of my life at this very moment, I think I'd either go for Copenhagen or Stockholm. Maybe Copenhagen would win because of their bike culture - major brownie points! I love this question because even as a kid, I always envied people with middle names. Last year I found out that you can actually 'get' a middle name quite easily in the Czech Republic - you just go to the city registry office, choose your new middle name, pay a fee and voilà! You've got yourself a brand new middle name. Ever since then, I've been thinking about possible middle names & I think I'm pretty much set on Filippa at the moment (if I ever decide to go through with it). What's the first blog you read after starting up your computer? I always go to my Google Reader & check all the newest posts. But I'm always really excited to read posts by Rachel, Niki and Brinja. What's your secret hidden talent? What's your favourite spot in your home city? I kept my choices relatively short, as you can see (as opposed to my answers :D). Anyway, I'm excited to read all the answers of those who decide to participate! Edit: I forgot to thank everyone for the lovely comments on my last post. I'm thankful for every single comment, but last time you guys really made my day. Thank you! Good Morning and thank you for the Liebster nomination! I feel so honored ! I wil get to your questions this evening so check in with me again tomorrow for the answers. Thank you for your kind nomination! I hope you don't mind if I don't take part this time - I have participated before. 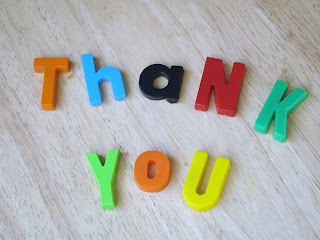 I am very grateful though and want you to know that you have a lovely blog too.